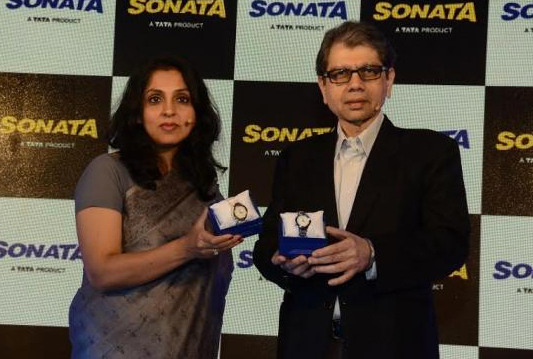 Sonata launched their safety watch designed exclusively for women, the Sonata ACT - App Enabled Coordinates Tracker. This unique safety watch makes use of the custom made technology that uses the user's smartphone to trigger emergency alerts to a network of pre-set recipients. Stylish and yet affordable made Sonata ACT a path breaking innovation for Titan and a great value addition to Indian women. The product is designed to match the needs of the ever evolving Indian woman, whose challenges and responsibilities evolve along with her. The watch is accompanied by a mobile application to be downloaded onto the user's smartphone. Making use of Bluetooth, alert messages will provide details of the user's location that will be sent to the emergency contacts that is set up by the user on the app in the form of in-app alerts and SMS.